Do you know what is in your children's paint? I don't. I looked and none of the paint we currently use lists their ingredients. Other than to say it's non-toxic. What does non-toxic mean? I know it's likely they are full of chemicals. This may be fine for Caspar who can paint with a brush and most of it gets onto the paper. But what about Otis? Sometimes he's covered in it. What about finger paint? I'd rather be safe than sorry and buy paint that lists it's ingredients but cost is a huge factor. Most of these paints come at a much higher cost. What about the quality? Is it worth it? Are these paints good enough to justify the additional cost? Most of these paints look like they would make wonderful gifts but what about for everyday? I'm going to find out. Caspar and Otis are going to road test three of these paints and I will post our findings here. It will depend on availability but I'm happy to hear which ones you recommend we try first. You can read a review of the Wee Can Too Tottle Set - Veggie Baby Finger Paint here. Otis is walking. It feels like I can breathe a sigh of relief. At fifteen, almost sixteen months he is by no means an early walker. The age when children start walking varies so much it's a reminder of how different our children are. It's why so many people tell me their child isn't interested in the same activities as Otis. Now he is walking he's interested in different things too. His top priority is practicing walking. Even better if he can find something to carry. He loves to carry a basket and find things to put in the basket. Then he will walk around the house picking up and dropping off items, sometimes in little piles. A sock, a hair brush - whatever he can find. He does the same with books. I'm pretty sure his in a transporting schema? Are schemas like sensitive periods? I know schemas come from within. The best we can do is encourage and provide the right environment. For Otis right now that means lots of little things and a few baskets and buckets (he does this outside too). I'm not sure how to extend this activity but I have a feeling he will show me the way. I'm constantly looking for meal and snack ideas for my children. Food they will both eat. Nicole at Planning with Kids always has plenty of ideas for quintessential Australian meals. To be honest I rarely use a recipe. I'm really looking for recipe ideas, flavour combinations, especially ideas using ingredients I have on hand or left-overs. Mini fritattas are great as the only things that are essential are eggs and milk. Then I look for what else I have in the refrigerator. Salmon and spinach? Chicken and corn? Today it was roast vegetables. I cut the vegetables into small pieces and put them in the little dishes with some feta cheese, add my mixture of 3 beaten eggs around 1/4 cup of milk, sprinkle cheddar cheese and my herb of choice on top and bake on medium heat for around 20 minutes. Today as an after school snack. It's a winner here. It's been a busy weekend here. I've spent the last two days cleaning, so uneventful but nice. I have many things to update you on but for now I have some fun links to share. Have you seen Theo's room yet? I love children's rooms that are so fresh like this. Lots of clean space, lots of natural light. I love this look. I've only recently discovered this fantastic online shop Craft4Kids. A quick look around and I realise their prices are fantastic. They even stock the elusive crayon rocks that I couldn't find locally. The store is run by a Montessori mum which, you know, means I like it even more. I've been looking into eco friendly paints too, Otis gets covered in paint and I would prefer a more natural paint, has anyone tried the GLOB Paint Kit or the Eco-kids eco-paint? The thought of compostable jars and natural ingredients (organic fruit, plant and vegetable extracts) makes me happy! Could this possibly be the most beautiful Montessori home schooling environment? This is a great Montessori environment to study not only because Nichole is Montessori trained and knows a thing or two, but because it's so warm and appealing, all those things Montessori should be but is difficult to achieve. Nicole's blog Live Free is beautiful too and contains lots of Montessori snippets. Also don't forget to enter our giveaway which closes tomorrow. 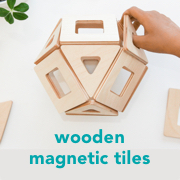 For the full brochure click here from Montessori Australia. The timing isn't right for me this year. But Montessori as a career, it might be on my mind. When it comes to creating a Montessori environment it's hard to go past the ideals. Space is an ideal. But the true essence of a Montessori environment? It's thoughtfulness, it's knowing your child and meeting their needs, regardless of your circumstance. That is why I find this little kitchen so delightful! Hannah is Montessori trained and is a nanny to a very lucky Helmi who is 19 months old. Living in Paris Hannah has the challenge of creating a Montessori environment in a very tight space. There are so many little touches here that make this environment simple but perfect. It contains all the right things to encourage Helmi's independence and sense of self. "We just created a drawer for Helmi in the kitchen. It has a sign on it for her to know it is her drawer. We taped a little towel on the bottom of it (after a couple of days) to stop things from shifting around in it. This works really well. In the drawer Helmi has a big jar of cereal, a little glass, a cup and tiny pitcher, a bowl, a napkin, a sponge and her silverware (fork, spoon and spreader). She usually loves to take her things out of the drawer and put them back in. When we prepare her meals she will get out, what we ask her for. On one of the pictures you can see that we added a little triangle-shaped table right next to her drawer, which she sometimes uses to have a little snack or to prepare something. The kitchen is teeny tiny, so it was hard to make space for her there, but I think we did fairly well. It is still a work in progress, though, as we wanted to add some pictures to her little corner." This space is a great example of order. Notice how there aren't too many things in the drawer, it's not overcrowded, every item can be found with a quick look and there is a specific place for everything. I also love the towel taped on the bottom of the drawer, I'm going to use this idea for Otis's drawer. Thank you to Hannah and her family for sharing Helmi's kitchen space. If you have a Montessori kitchen that you would like to share please email me at howwemontessori@gmail.com. Kids in the Kitchen is now available on Amazon! Yes, our most famous book is now available on Amazon! The book is suitable for children aged 18 months to nine years. While I only have experience with younger children remember Sara was a Montessori teacher for the 6-9 age group so the book was written with this age group in mind too. Sara, Angie and I are all mothers and this book has truly come from our hearts. We feel this book would be a great asset to any home with children or school library. It's perfect for the classroom, Grandparents or as a gift! I receive so many emails from people who are new to Montessori who are looking for advice on how or where to start. Because it's so darn practical this book is a great place to start, the kitchen is a great place to start. The book doesn't assume any previous knowledge of Montessori and doesn't assume your child already has experience in the kitchen. Because it's written by mothers, real parents who are doing these things in our own kitchen with our own children - it's really relevant. If you have any questions about the book please feel free to ask. A huge thank you to everyone who has already purchased the book. If you write a review on your site or blog please send me the link, I'll be compiling links to all reviews on a separate page very soon. Thank you so much to everyone who entered the child sized kitchen items giveaway from Montessori Child. The recipient is Kate Cooke who I will be emailing very soon. I loved reading all the things you like to cook with your children, so much inspiration! If you have a recipe that you would like to share please email me at howwemontessori@gmail.com. Especially anyone who mentioned banana bread! Caspar and I would love to test it out and if we love it we will feature it on the blog, with credit to you for the recipe of course. I have another giveaway coming this Thursday, please look out for it because it's another kitchen pack with an additional surprise! There are four in the kitchen questions that I get asked very often. Here are my answers! 1. What is Caspar/Otis standing on to reach the counter in the kitchen? Caspar and Otis use the Little Helper Fun Pod. It's height adjustable so I can adjust it depending on who is using it. I purchased it online from a store that no longer stocks it. I cannot find a current Australian stockist. The Fun Pod has four sides so it's great for the younger child, there is no chance they can slip or fall out (unless they are a super-duper climber and are left unattended). It was well worth the investment, Caspar and Otis both use it multiple times a day. 2. Should I get a Learning Tower or a Fun Pod? You can't go wrong with either. When I purchased our Fun Pod there wasn't much information around on the Learning Tower. The Fun Pod is great for the younger child but as the child needs to be lifted into the pod it's more difficult for an older child. Caspar does climb in it himself although it's not recommended. The Fun Pod is really intended for one child (although I've had both in there) and I believe two children can fit on the Learning Tower. 3. What knife does Caspar use? In the book Kids in the Kitchen I have described the different types of knifes or cutting tools Caspar has used. He started cutting around 18 months with a butter knife (on a banana) and very quickly moved to a crinkle cutter which he still uses today. I wrote this post featuring the crinkle cutter last year. Most of all, for over two years he has used the Victorinox Paring Knife Serrated 10cm, this is the little red one you can see in so many of our pictures. We love this knife because it's small it fits into his hands nicely and it's serrated which I personally prefer for children. In the last couple of weeks Caspar has graduated to a larger and sharper knife pictured below. He is now using a Kuhn Rikon Nonstick Serrated Knife (which is really cool as it comes in bright colours and with it's own cover). 4. Which peeler does Caspar use? Initially I tried a couple of different peelers but the Victorinox U Shape Peeler was recommended to me by another Montessori parent and was by far the best. At the start peeling was really awkward but this peeler is ergonomically designed and for some reason really Caspar totally took to it. Caspar is left handed but I'm not sure that mattered. The Victorinox U Shape Peeler is the peeler we used in the book Kids in the Kitchen. These questions take me back to when Caspar was young. I was desperate for information about materials and what items were suitable for children. Even today if I see a young child cutting I will try and take a peep at what knife they are using! If you have any other questions please feel free to ask in the comments. Caspar wipes the dishes while Otis watches intently. Otis isn't at the stage of participating yet, he will collect and hold his tea towel, he might sit on the dishwasher door and sometimes pulls the cutlery out of the basket. He's naturally inquisitive about what is going on and how he fits into the picture. Even for Caspar our regular sized tea towels are too large. The item he is drying gets lost and I fear for breakages. To avoid disagreements they have matching child sized tea towels. I cut a regular sized tea towel in half, hemmed and sewn in a loop. For Otis learning to hang his tea towel on the hook is part of the process. I was recently asked about pocket money and chores. Caspar doesn't receive any pocket money and for this age group I'm really opposed to the idea. Caspar doesn't have any set chores but there is an implied expectation that he contributes. For the time being Caspar willingly contributes around the home. I have recently changed my language. Rather than ask for his help "can you help me with the dishes" I will simply say something like "the dishwasher is finished, let's empty it" or "let's empty the dishwasher". I don't want him to think he's only to do the task to help me, I want him to do the task because it needs to be done. It works for now. Today I purchased some organic milk. It tasted wonderful, thick, luscious and flavoursome. It was a world apart from the cheaper supermarket variety we usually get. When I was in the paid workforce we had a weekly delivery of fresh organic produce. Our budget is no longer so generous. We still eat organic produce when the prices are comparable but here in Australia there is currently a 'price war' on milk. Supermarket milk has become extremely cheap. Today I'm taking a step back to re-evaluate what I want for my children. Montessori said to surround your child in beauty. So they can absorb it and become like it. That the child builds his inmost self out of the impressions he receives. I want my children to experience the best of what we can offer. Taste the beauty of real food. Have rich and genuine impressions. Our budget is important too but for us it's time to prioritise. Yum! Peeling a banana the Montessori way? I love to observe Montessori teachers. I like to see how they demonstrate things that are practical and applicable to our home life. Perhaps I'll learn something. During my observations I've noticed teachers demonstrating peeling a banana to toddlers four different ways. Each way has it's purpose I assume. Slices and pieces are easy for little fingers, great for sharing at snack time and the child can use tongs to put on a serving plate. For the youngest child the adult makes a cut down the skin to make it easier for the child to start. I've only seen this half version demonstrated once but it caught my attention immediately. Perhaps it's to prepare the child for peeling a whole banana while still being small enough for them to hold. A whole banana is best for the child who is going to eat the entire banana or who is going on to slice the banana themselves. The adult makes a small incision at the top of the banana to help get the child started. Could there possibly be other ways to demonstrate peeling a banana? The only practical advice I have is to start young. Caspar still asks me to peel his banana for him. At least I know Otis won't have this problem. If you are a teacher and if I've totally misinterpreted the peeling process please let me know. You can see Henry peeling his banana here. Sara asked me many months ago if I would co-author a book with her. I said yes without even thinking about it. I wanted to work with Sara because I admire her ability to think big. We think alike when it comes to Montessori in the home but that's where the similarities end. My aim is to bring Montessori to my children. Sara's aim is to bring Montessori to all. Yes, she thinks big like that. Let me tell you she's going to make it happen. Sara's son Henry (pictured above) is only a month or so older than Otis. It's so nice to know a Montessori family with children the same age as my own. It's like we are sharing the journey. I've taken the opportunity to ask Sara a few questions. I know many Montessori teachers struggle to implement Montessori in the home. Do you feel teachers face particular challenges transferring knowledge to a home environment? What an interesting question! I'm trained to work with children ages 6-9 years old, so I found it difficult to implement Montessori with my son when he was born because I wasn't sure what Montessori looked like with infants. 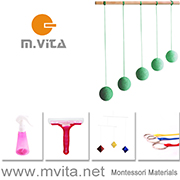 There isn't a lot of descriptive information about how to set up the nursery in a Montessori way, how to implement the mobile series, how to introduce foods, etc. However, the principles of Montessori are the same at every level. We honor the child by respecting who they already are; we do everything in our power to step back and support their independence as they form themselves; and we follow the child and pay close attention to where they are developmentally, what they need, and what interests them. I think practicing those principles day in and day out in the classroom has made it easier for me to implement them at home with my son. When Henry is older, I won't try to implement all the Montessori classroom materials at home--that's what school is for! Instead, I will provide a home environment that is connected to nature, calm and orderly, and reflective of Henry's interests. I am always interested in what goes on in Montessori classrooms. I know there is a focus on practical life activities in the 3-6 class but what about beyond that? Is cooking considered part of the curriculum in older age groups? Yes, practical life activities continue to be part of the curriculum at a Montessori school. That's one of the amazing things about Montessori! In my class of 6-9 year olds, for example, we had a class garden. We grew things like sweet potatoes and made French fries and lettuce to make salad. The children harvested the lettuce, made the salad dressing, shredded cheese, chopped carrots, and even made the croutons. The children also take more responsibility for planning class celebrations. One year, my class decided to throw a Pancake Party to commemorate the end of our year together. We ground the wheat from scratch, made pancakes, squeezed fresh orange juice, and even made syrup and whipped cream from scratch. On a day-to-day basis, children take responsibility for taking care of the classroom pets and plants, arranging our flowers every week, keeping the environment clean, etc. They also start planning "going out" excursions to visit places in the local community that help extend their learning beyond the classroom. In the older levels of Montessori, there is an emphasis on doing even more complicated work, such as running a farm and running businesses. It's part of how Montessori schools help educate "the whole child." What about Henry now at sixteen months, what are his favourite things to do in the kitchen? We've had a Learning Tower in our kitchen since Henry was 12 months old. At this point, he can climb into it completely independently. He can also get down by grabbing onto the top and swinging down. It's quite entertaining to watch him. He is usually around while we cook dinner. We try to find little ways for him to help. For example, he can help make our salads by putting lettuce into the bowls. It's much harder for him to help put the dried cranberries on top; he just wants to eat them! Henry also helps us empty the dishwasher by putting the Tupperware away. He feeds our dog every morning and evening, and he carries his own breakfast and snacks to and from his weaning table. He can also clean up spills with a towel and tidy up a table using a sponge. The first skill in our Kids in the Kitchen series is washing fruits and vegetables, so I just bought a kid-sized colander. I'm eager to introduce it to Henry and work through the series of skills. I can't wait until he's ready for the recipes! Right now, I'm slowly making our kitchen more kid-friendly, based on the advice in the book. It's so refreshing to have a step-by-step guide about how to implement Montessori at home in the kitchen. Thank you to everyone who has purchased a copy of our book Kids in the Kitchen. Proceeds from the book go directly to Sara's organisation Montessori for All. You can read more about Sara at her blog Feeding the Soil. Can I take Austin off my world clock now? Kids in the Kitchen - the book! Yes, Kids in the Kitchen - the book is available now! It's available internationally here. Want to cook with your child but don't know where to start? Want to teach your child cooking skills so they can work in the kitchen independently? Want your child to take the lead and be able to follow an entire recipe? Interested to know how Montessori parents approach cooking with children? It's all here. We start with a very candid introduction about how we came together to write the book. We discuss how to set up your kitchen, skills to introduce to your child and recipes ranging from the very basic to cooking with heat. The book is fully photographed, wonderfully designed but most of all very do-able and approachable. Enough from me. If you get the opportunity to read the book, I'd love to know what you think. A most heartfelt thank you to co-author Sara, designer Angie and to my wonderful little helper Caspar. All funds from the sale of the book go towards Montessori For All. This week I will continue with some kitchen posts. Tomorrow's post will feature an interview with my co-author Sara.